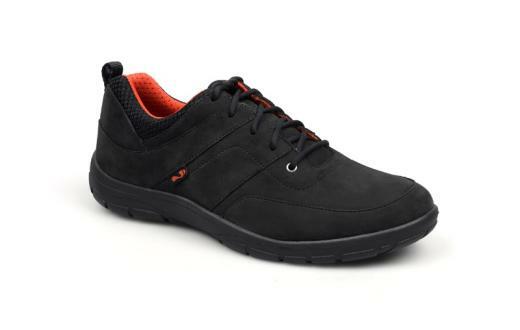 Maine is a casual lightweight walking shoe made from a luxurious soft Nubuck leather. High quality breathable linings keep feet fresh and dry for long days on your feet! This luxurious upper is built around Strive's podiatrist designed Biomechanical Footbed Technology™, which re-designs a classic flat footbed to the natural 3-dimensional contours of your feet .By mapping these unique contours, this footbed technology may help to improve posture and reduce harmful stresses placed upon your body and feet – a contributing factor associated with many common aches and pains.